with anything to different extents. It's going to be an open world dating game. First semi-serious (but hopefully very serious) solo game. I'm coding and making all the art for this myself, I will be assisted by Zack on music and sfx. You wake up in an old abandoned attic which you get to make cozy and furnish with things you find throughout the city. You can explore everything from the rooftops to the sewers, maybe even break into peoples homes(!!!). 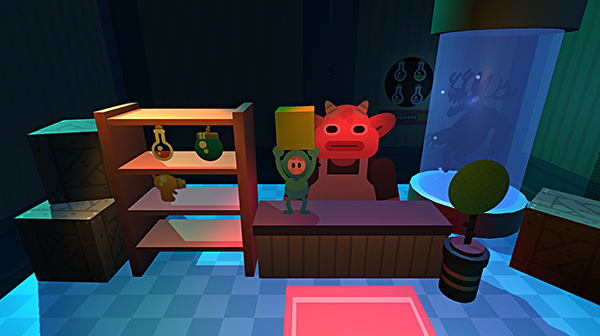 Right now you can lift, throw and drop stuff you can also rotate the stuff while you hold them so you can furnish rooms. The green cube is a grow-cube, you can use it to reach high places. The only other game I know like that is Um Jammer Lammy, which I always loved. Oh, and also Breath of Fire 3 and similar games of that era, I guess, but that's a lot less dynamic. Rigging have always been very hard for me so this was a really nice change, makes everything so much more approachable. I think the 2d and 3d blend so well because of the simplicity in both elements. The light really does it's part blending it too. I wasn't familiar with those games before, I was very influenced by a game called Burrito Galaxy 65. It's a beautiful gem! and your audio guy has great taste/style!! glad to hear you're intrigued by the game Zack! Really digging the art style, following along! 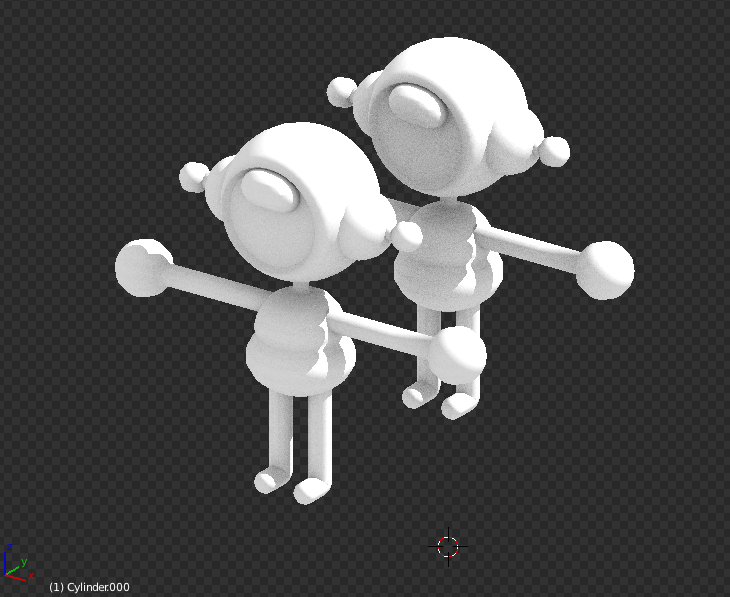 I'm still fiddling with the basics, but I've decided to take a leap from 2.5D characters to 3D. But I still like a few of them being 2.5. I'm going to use these pixel art animations as reference once I've rigged this. The face is going to be a 2D texture floating in front of the head, I want INTERACTION BOY to have lots of different expressions and reactions. There's a climbing mechanic which I'm planning to redo from the ground-up as it's too clonky. I can also load and unload parts of the map. 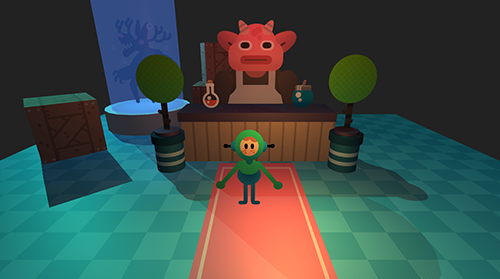 The model is in the game now, it has a face parented to its head so I can animate it. 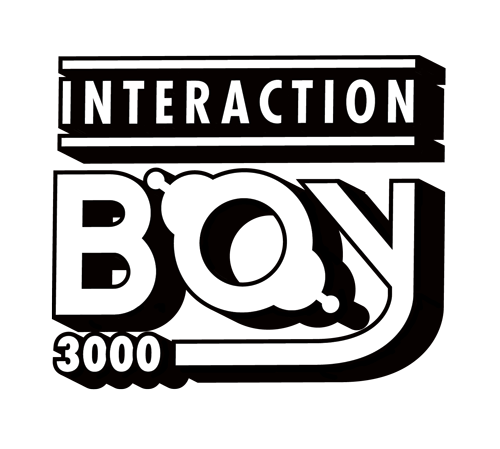 INTERACTION BOY will have lots of different facial expressions, Mii maker is a great inspiration. Here's a comparison between the old 2D IB and the new one. There's still some things to tweak with the model and I will probably redo the idle animation completely later. Next up is walk, run and jump animations and to actually replace the 2D IB completely. Reworked the climbing system from scratch. Now you are much more like a spider, you rotate the character by tilting the stick horizontally and move forward by pushing forward. It's a bit tricky to steer but it's also very fun and works on any shape! You will be able to climb statues and all kinds of stuff. Something else I fiddled with was some IK stuff. I want the character to be very responsive and have a nice sense of weight, here the chest bone move slightly faster in the movement direction. I've also done a lot of other tweaks with player movement, I actually started from scratch because I didn't like the way rigidbodies behave. So now I'm using a character controller. 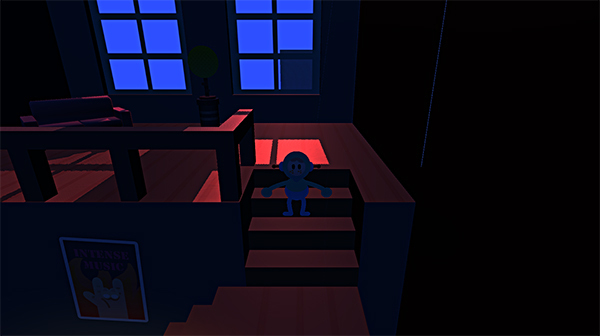 Got a custom deferred cel shading set up too (not sure what to call it), fixed some things with light that's been bothering me. The character is shaping up quite nicely but there's still a ton to do, I want to rework the throw-system and add: wall jumps and slides (maybe wall running? ), crouching, pushing, grabbing edges, spinning, etc. Can't wait to get started building the world for this, I'm super excited!